There are many strange tales to be found in the depths of The Velvet Onion. Oddball news stories we can’t quite believe happened. 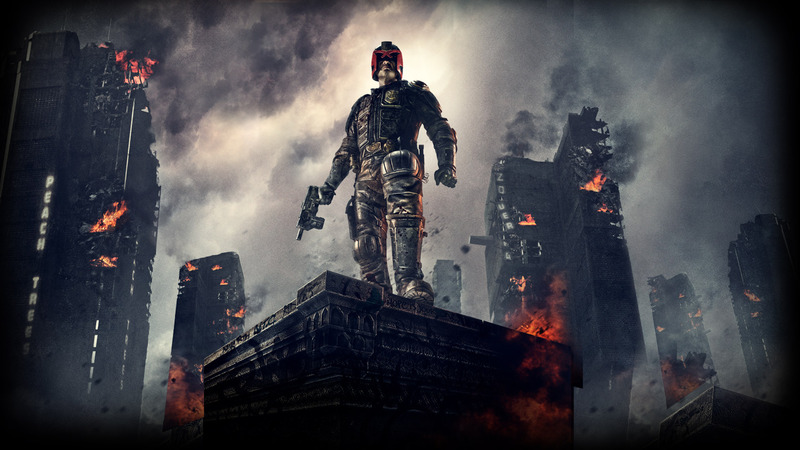 As such, the news that brand new 2000-AD blockbuster Dredd contains the theme from Snuff Box, is bound to join that roster. We haven’t yet seen the film, which features Karl Urban (Star Trek, The Lord Of The Rings) as the titular law enforcement officer who possesses the power of judge, jury and executioner and has to square off against evil drug lord Ma-Ma (Game of Thrones sensation Lena Heady). However, a few weeks ago Matt Berry tweeted that a song of his was featured in the film, and, as he’s a ridiculously busy gent at the moment, we were unable to find out more from the man himself. From what we can gather from various tweets and reviews of the film, is that the song featured is none other than Snuff Box – and that it can be heard several times! With the combined talents of Karl Urban, Lena Heady, screenwriter Alex Garland (The Tesseract, 28 Days Later) and producer Andrew Macdonald (Trainspotting, Shallow Grave), this adaptation of the comic book classic already looked set to be poles apart from the ridiculous Sly Stallone film of the mid 90s, and this added slice of Berry magic may be the icing on the cake. Its playing when the clan hacker first spots Dredd on security cameras. No real reference or relevance, he’s just listening to it in the background. I heard the music at least twice throughout the film. The computer nerd/hacker type character has it playing in the background in a couple of his scenes, when he’s sat in front of his monitor. Wow! I was surprised to hear it, and my first thought was wondering it had originiated from some place other than the TV show, but no.